Mission Statement: "Firearm Safety though Education"
All first time shooters in this program are required to attend the NRA F.I.R.S.T Rifle Course. NRA FIRST Steps Rifle is designed to provide a hands-on introduction to the safe handling and proper orientation to the sport of shooting and introduction in to Firearms. This course is four (4) hours long and includes classroom and range time learning to shoot a specific rifle action of a .22 caliber rifle. A pre-season NRA FIRST Steps Rifle course will be held at the Clubhouse on the October 20, 2018. Registration starts at 8AM, Class begins at 10AM. 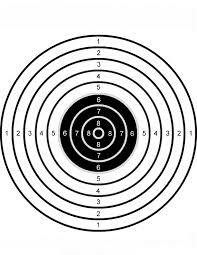 Upon completion of this course the new shooter will be eligible to continue the season. The 2019 Season Begins Monday January 7st. Registration and Safety Breifing for returning shooters is from 3-6PM. Early registration date for the 2019 season is coming soon. Photos can be viewed here! !